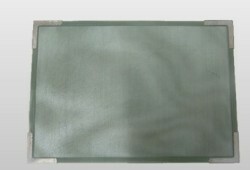 Mesh Tray for electronic parts sintering, such as passive component sintering: PTC sintering, NTC sintering, Silver Sintering; and Li ion battery Anode sintering, etc. 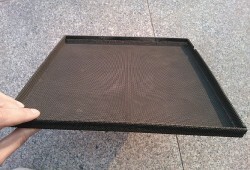 The mesh is used as the carrier or conveyor. The working temperature is as high as 1250 oC. We are a manufacturer of custom and standard mesh trays that are produced in a wide variety of sizes and designs. We offer affordable solution for sintering operations to maximize operational efficiency. The industries served are heat treating, metallurgical, chemical, mining, aerospace, power production and heavy industrial manufacturing. Capabilities include blasting, painting and non-destructive testing.